Brady was asked how being called a cheater motivates him to hold up this year's Super Bowl trophy. 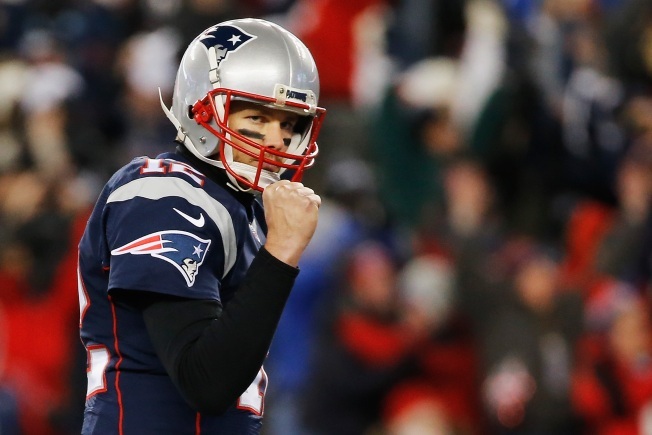 Despite continued questions about motivation and revenge, Tom Brady refuses to fuel the fire. At Friday's news conference, Brady was asked how the 4-game suspension, being called a cheater, having his name trashed, motivates him to hold up this year's Super Bowl trophy. Brady responded the same way he faces a 3rd and 12. Very calm and cool. "I'm motivated for my teammates. I said that after the [AFC Championship] game. They're all the motivation that I need. It takes a lot of work to get to this point and nothing that's happened in the past is going to help us win this game." Brady went on to say how he's unfazed by such questions. "I'm a positive person, so I just focus on all the positives. I don't get caught up in negativity and bashing other people. I'm very blessed. I get to do something I love to do. Show up to work everyday, play football in the National Football League and play for the Patriots." Brady did offer one source of motivation. "This is the biggest game of the year and its our opportunity to be at our best and not let anything get in the way of what our goal is, cause I've been in a few of these that we've lost and it's been pretty crappy to think of those memories. The topics did eventually turn to football and the Falcons defense. "They've got a lot of good players, a lot of youth, a lot of speed, very well coached, very disciplined," Brady said.